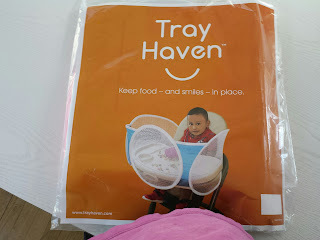 The Grandma Chronicles: The Tray Haven Is an Answer to the "Uh-Ohs"
When a baby is first ready to sit up in a high chair and pick up Puffs, Cheerios, small toys or a sippy cup from the tray, parents are all excited at this new skill and independence. The euphoria is usually quickly dissipated if they are spending a lot of time picking things up off the floor. The same thing is true with the tray on a stroller. Tray Haven is a new product that deals with this problem. 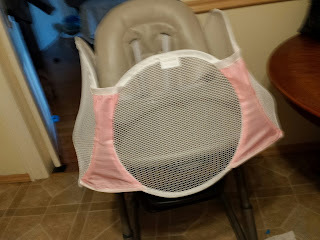 I don't think this will work with a toddler who is used to more freedom to move around, but it can be a huge help with a baby who is just beginning to sit up. 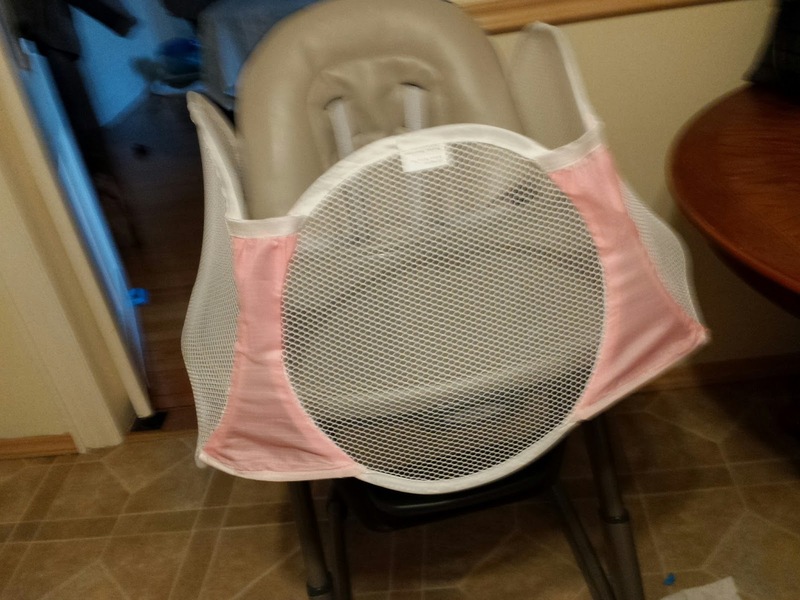 Tray Haven is basically a breathable mesh netting in sections which can clip behind a high chair or stroller and creates a see through barrier keeping food, toys and whatever else is on the tray off the floor. Babies get frustrated too when their food and toys fall, so the Tray Haven may help keep them contented. This product may also be helpful with special needs children and adults with motor control difficulties. Tray Haven retails for $39.99 and is available in pink and blue at Amazon. You can also buy it directly from Tray Haven at their website. What a neat idea! 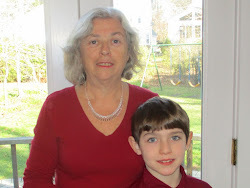 Thanks Marion from Grammy Dee, #WednesdayAIM #LinkUp #BlogParty, shared at Pinterest.